I am back! While I am still in the midst of reading “American Wife” by Curtis Sittenfeld, I wanted to share my thoughts with you about another book I am nearly finishing. 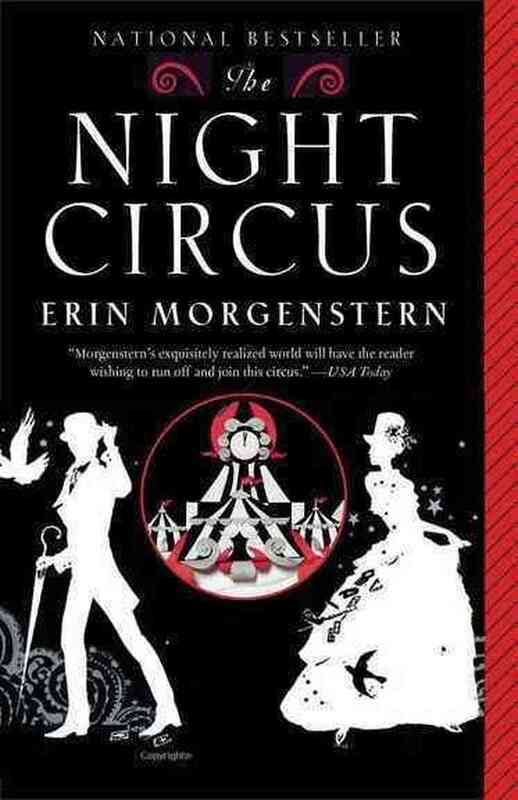 I am reading “The Night Circus” by Erin Morgenstern. The best way I could describe this book is by comparing it to Harry Potter meets Water For Elephants meets Hunger Games. This book has elements of all three of those books. I have never seen a book so openly and honestly speak about Tarot cards that could be considered by most as dark magic. Everything in this book is dream-like with historical elements and love. It takes place during the turn of the 20th century and a decade before. It involves a circus (obviously) which poses as the backdrop to a competition between a female and male magician who for most of their “magical” training know nothing of the other until they meet through this circus and fall in love. What happens next is to be determined. I have found this book enjoyable, I love history, so this element keeps me wanting to read more. I love the love story, but I have to admit the author keeps the love story at bay for a long time, she introduces the circus thoroughly, she introduces the cast of characters thoroughly. You almost want to tell the author, get on with it. Most of what happens in this book is unbelievable, their love story while it is enjoyable as well, is just developing 250 something pages in. I am having trouble believing their love or connecting the dots of their love. I also find the author isn’t clear in how the other characters are playing a clear role in this so called competition. You need to pay attention to everything in this book closely to make the connections of why certain people and events that have happened are important. The author does keep you guessing. I am looking forward to finishing this book and “American Wife” and moving on forward with this blog again.